It's been a long time coming, but Paragon Chat has left beta and reached 1.0. Does that mean it's done? Far from it, we're just getting started! First and foremost, a big thank you and round of applause for everyone who volunteered to help test the development series leading up to 1.0. Because of their efforts, many of the possible issues with upgrading from 0.99 have already been found and fixed. So what's new in this version? There are two answers. One is not very much -- featurewise, there is about as much difference between 0.99 and 1.0 as you might expect from the version numbers. The other answer is that a tremendous number of things have changed behind the scenes in the inner workings of Paragon Chat. Things which will make development of new features easier and faster! Mostly, 1.0 is all about polish and user experience. It's designed to be easier to install, easier to use, faster to load, and generally just work better overall. Several important things have changed. The first time you run Paragon Chat a quick wizard helps you set it up, and if necessary upgrade from older versions. Thanks to feedback from testers this should be quick and painless, but if you do encounter issues, let us know and someone will try to help. There are two key things to keep in mind. Paragon Chat lives in your user profile. This won't mean much to non-technical users, but the takeaway is that Paragon Chat installs to your user account, not the computer. That means it never needs to be run as an administrator and avoids User Account Control headaches on Windows Vista/7/8/10. The main window has a button to take you to the Paragon Chat data folder. If you ever need to access its files for whatever reason, that button will take you to the right place. 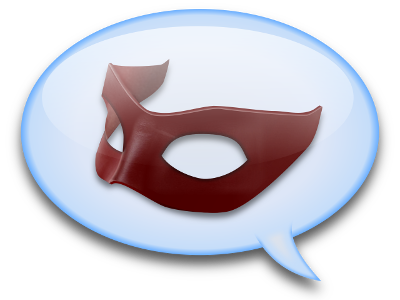 Paragon Chat needs Issue 24 installed, but treats it as read-only and never modifies it in any way. I24 doesn't even really need to be "installed", Paragon Chat just needs to be able to read the files from it, so a simple copy of the folder will do. Anything you create while using Paragon Chat goes into the data directory mentioned in #1. Screenshots, costumes, chatlogs, all of it. That also means that starting with 1.0, any client mods you want to use need to be installed specifically for Paragon Chat rather than in the I24 folder. Unlike previous versions, you don't need to save this file anywhere special. Just run it and it will download and install the latest version of Paragon Chat (no more ending up with old obsolete versions). You can delete the bootstrap file when it's done. Epoch: The epoch level indicates the maturity of the project and its underlying technology. It is increased only for versions that represent a fundamental shift in design, such as going from 0 (beta) to 1 (release). Major: Major versions introduce large new features (entire systems) and in some cases may need user action or not be fully backwards compatible. It will be stated in the patch notes if this is the case. Minor: Minor versions introduce smaller features that can be rolled in without disruption, quality of life upgrades, etc. User experience between minor versions should be consistent except for more features being available. Patch Patches include bugfixes, emergency workarounds, and other short-turnaround changes. New features will only be introduced in a patch if they are required to fix a problem, or are so inconsequential that no one would notice them. Some early versions in the 1.0 series did not always display the patch level, or experimented in showing it in different forms. Internally, it has always been the fourth segment of the version number, and will be displayed that way in all future versions. Major and minor releases may omit the patch level from the displayed version number only if it is 0. Added special case handling for super speed and super jump to make their effects stack, so that they can be activated at the same time. Reset some extra state when going back to the login screen. Fixes a client crash when selecting body type after backing out to the login screen and then going forward to an empty account with no characters. Add 9th, 10th, 11th, and 12th anniversary badges for the event. These are hardcoded and all characters are considered to have them, regardless of when they were created. Implement slash command to select badge title (/set_title_id). Add support for sending a badge title to the client. Add support for sending a badge title in XMPP presence stanza (badgetitle attribute). Add badgetitle column to character table in database and bump db schema version to 20 in order to remember it between sessions. Added sneak preview of some experimental special effects for the anniversary celebration. Can only be activated using an authenticated developer build as these effects are highly experimental and there are a number of problems with them that could be exploited: slowing down clients to a crawl, crashing them, or inducing epileptic seizures. Move makeshift account management to settings button because some people's control key is broken. Fix detection of single-account databases for auto-logon. Add "hidden" terrible account management tool to help some people find lost characters. Add more detailed error messages for possible loading problems. Position and state of power trays are saved between sessions. Arrangement of powers in trays is now saved as well. UI Polish - Clean up main window, login screen, streamline the whole thing. It is now much more friendly to accidental misclicks and less likely to exit early when you don't want it to, or try to start up a second instance while the database is locked. Multithreaded startup makes loading much faster. Much greater use of threads in general makes things smoother and more efficient on multi-core CPUs. Client file access is now redirected to locations within the Paragon Chat install directory, so that it can be self-contained. Override default graphics settings to prefer windowed mode, in order to avoid issues with the client selecting a resolution that cannot be natively displayed and resulting in parts of the UI being cut off. If you do prefer fullscreen, you will need to select a specific resolution from the graphics settings window. Automated client management make startup and shutdown much cleaner and less error-prone. Multi-instancing should be much easier as the TCP and UDP ports are assigned dynamically. Be sure to use -shareddb to put Paragon Chat into multibox mode. The emote menu now has all items unlocked. Previously they would work if you typed the name, but still showed up as locked on the popup menu if it was one that required a badge/store purchase. Usernames and folder names with international (non-ASCII) characters should no longer be a problem. Pathnames longer than 260 characters should now work as well. Loopback issues on Windows XP should now be fixed, making the -localhost workaround unnecessary (-localhost no longer has any effect due to the connection setup being changed). Drop OpenSSL. It used to be a hot mess, now it's just a plain mess. Switch to mbedTLS instead. About 220 other changes, most of them related to infrastructure and backend tech. Very nice! Thank you, Codewalker! This an April fools joke? lol why has the graphics changed to look like champions online? Awesome work and thx codewalker! Oh cool! Thanks for all your hard work, Codewalker. I just saw a post mentioning a new release on reddit. That said... does anyone know of a working download/torrent for the I24 beta? The one on SaveCOH doesn't seem to be working. Blazingly fast and very user friendly intuitive release. The impressive underlying technical wizardry augur well for the future. Clearly, the legacy of CoH is in safe hands. ...and we got Beast Run. FFF, have you logged in since the graphics change? Yes, the graphics have changed. Looks to me like a giant leap backwards. Please put them back the way they were!! When ParagonChat was initially announced, it was said that the communications protocol between the client and server had been finally decoded after 2 long years of research. Are there any plans to release that research or maybe the source code to PC? I'm only asking in case something happens to you, would someone be able to pick up and continue the work? Graphics don't look any different except the paragon chat splash screen that sometimes shows between zone transitions. the video of the game does look different on my nvidia gpu. also avg free found a trojan in the new installer it also wont let the new chat software run i have to disable it. to get your new chat software not to be blocked by avg. If you look at AP running Icon or the prior Paragon Chat, then, look at AP (or any other map for that matter), with the graphics changes, you will see a huge difference in the overall look between the two. Very disappointing to me. I just looked at the date on my PC, and was astonished. OK CW, you got me! Hopefully, 4/2/2016 will bear the prior PC fruit (graphics wise). the video of the game does look different on my nvidia gpu. I just have, and now see what you mean. Clearly, it's an April Fools prank. Not funny CW, sorry. I'm guessing it's built into the new EXE and will be gone tomorrow. Sorry CW, but IMO, a bit of a waste of programming time really. Would have been funnier to spawn some GM's and have them wander around, untouchable, than this. I'll just wait and download once the original CoH graphics are restored. /usecelshader 0 turns it off. The app doesn't start for me. Ideas? Hmm... closing out and reopening brought me to login. Turned out the 1.0 program assumed my account name before the @ is my login, which confused it since I've always used my old name. I put my name back, and I'm in Atlas Park right now. Nevermind. Good job on the new features! LOL I can see why the Paragon Studios devs didn't carry this out.